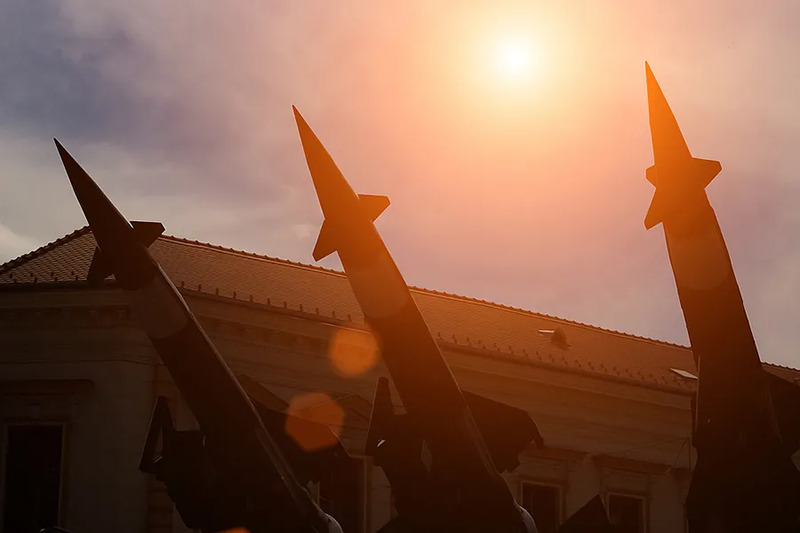 Vatican City, Nov 7, 2017 / 11:52 am (CNA/EWTN News).- The Vatican is preparing for a conference on nuclear disarmament this week in the wake of an international effort to ban nuclear weapons. Hosted by the Dicastery for the Promotion of Integral Human Development, the Nov. 10-11 conference will explore solutions and prospects for a world free of nuclear weapons and integral disarmament, in cohesion with Pope Francis’ emphasis on promoting peace. There will also be representatives of bishops’ conferences and other Christian organizations and a delegation of professors and students from US and Russian universities. Vatican City, Apr 6, 2017 / 11:20 am (CNA/EWTN News).- According to Vatican statistics released Thursday, the Church in the Americas lags behind globally when it comes to the number of seminarians per number of Catholics. In 2015, the Americas had 53.6 seminarians per one million Catholics, trailing just behind Europe with 65.0 seminarians per million Catholics. This is in comparison to Asia’s 245.7 and Africa’s 130.6 seminarians per million Catholics. The Americas’ low seminarian rate occurs despite the continent’s hold on the highest percentage of baptized Catholics in the world – 49 percent. These and other statistics, released by the Vatican April 6, are contained within the 2017 Pontifical Yearbook, and the 2015 “Annuarium Statisticum Ecclesiae.” These volumes, compiled by the Central Office of Church Statistics and edited by the Vatican Press, are being distributed in bookstores now. In terms of clergy, although the number of bishops grew relative to the number of Catholics, globally, the number of priests declined in 2015, in contrast to an upward trend from 2010-2014. According to the report, the decline is largely attributable to the geographical areas of Europe and North America. The percentage of priests in the world did increase by 0.83 percent between 2015 and 2010. With priests, Africa and Asia show a sustained growth dynamic, while the Americas remained almost stationary in that period. Europe and Oceania recorded negative rates of growth. If considered with regard to the relationship between the size of the geographic areas and the rest of the world it shows that the relative weight of Africa, Southeast Asia, and Central and South America, all grew from 2010-2015, while Oceania and Middle East Asia remained stationary. North America and Europe declined in the same period, which explains why the world-wide decline in priests in 2015 is largely attributable to these two areas. Overall, Catholics grew globally from 1.272 billion in 2014 to 1.285 in 2015 – representing almost 18 percent of the population. The significance of the Catholic Church in Africa continues to be confirmed as the number of baptized Catholics in the continent grew from 15.5 to 17.3 percent of all Catholics globally. The growth in Catholics in the Americas and Asia is also important – up 6.7 percent in America and 9.1 percent in Asia – although these numbers fit with overall demographic development in the two continents, according to the report. On the other hand, Europe’s contribution to the world’s Catholics made a sharp decline from 23.8 percent in 2010 to 22.8 in 2015. In the period from 2010-2015, there was also a significant growth in the number of bishops, deacons, lay missionaries and catechists, although this is in contrast to a decline in professed religious brothers and sisters. 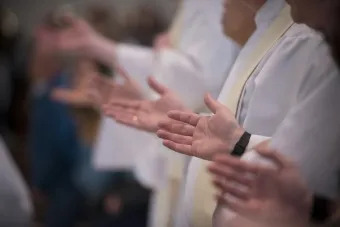 The priestly vocation crisis is particularly critical in America, the report noted, where the ratio between Catholics and priests exceeds 5,000 Catholics per priest. The ratio in Europe is weakened, with 1,595 Catholics per priest, though this is the most positive ratio in absolute terms. In Asia the situation improved slightly, from 2,269 to 2,185 Catholics per priest, and Africa is stable with around 5,000 Catholics per priest. After reaching a peak in 2011, the overall number of seminarians has undergone a gradual decline. Africa is the only continent not to experience this decline, making it the region with the greatest potential in the vocation crisis, the report explained.